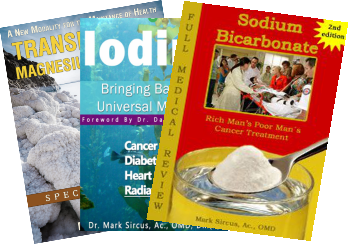 It is absolutely essential to read my book Treatment Essentials to get a handle on dosages. Through the years, the mistake I have seen people making repeatedly is under-dosing. However, that does not mean you have to race to the top, not unless it is an emergency like stage 4 or 5 cancer. If one’s life is measured in terms of only days then there is little to lose and everything to gain by increasing dosages as quickly as possible. Low doses do not get clinical results! Dosages are not an exact science for it varies so much from person to person and from one medical situation to another. Great weight differences need to be estimated in. Obviously infants cannot handle what a full-grown adult could but do not tell that to pediatricians who support vaccinationists who do not pay keen attention to medical common sense in this regard. Learning to use a natural medicine (even though it might be used in an emergency room) is not the same as using and prescribing a pharmaceutical, which needs formal training in how to poison “safely.” Pharmaceuticals are mitochondria poisons with side effects that are actually the main effects if the truth be told. Natural medicine and nutritional laws run by one set of rules and pharmaceutical companies by others. When using nutritional medicines like magnesium chloride, iodine, sodium bicarbonate, vitamin C and selenium, the dose determines the effect. In conventional allopathic medicine they say the ‘dose makes the poison’ but in the Natural Allopathic Medicine protocol we are not using poisons. In Natural Allopathic Medicine we often take doses to exceedingly high levels without the side effects found in pharmaceuticals that are an ever-present danger even at very low doses. In allopathic medicine everything, even water and vitamin C, are placed on a scale of toxicity with everything being defined as poisonous. Though it is true that one can drown in water, a large person can safely drink a gallon of it without ill affect and one can put pounds of magnesium chloride in a bath and take very high doses of iodine safely for infectious disorders without the serious and dangerous downside of antibiotics. Adverse effects of natural medicinals are very rare.